Review Summary: 'Love Sonia' is an important story that needs to be told. A solid, well known cast leading a great screenplay. 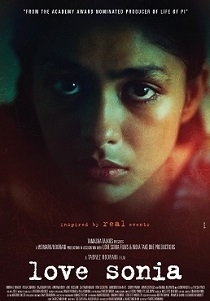 What can you say about a movie that has International funding (hence a super strong cast), a director who has helped produce international projects in India, but is so exploitative in the name of the subject: human trafficking? It's a glorified skin flick that has such distasteful dialog in the name of reality, you will upchuck in your popcorn. Love Sonia works well on an awareness level and has a certain shock value, but it isn’t emotionally compelling. Disturbs Your Soul To Portray A Hard-To-Swallow Reality!